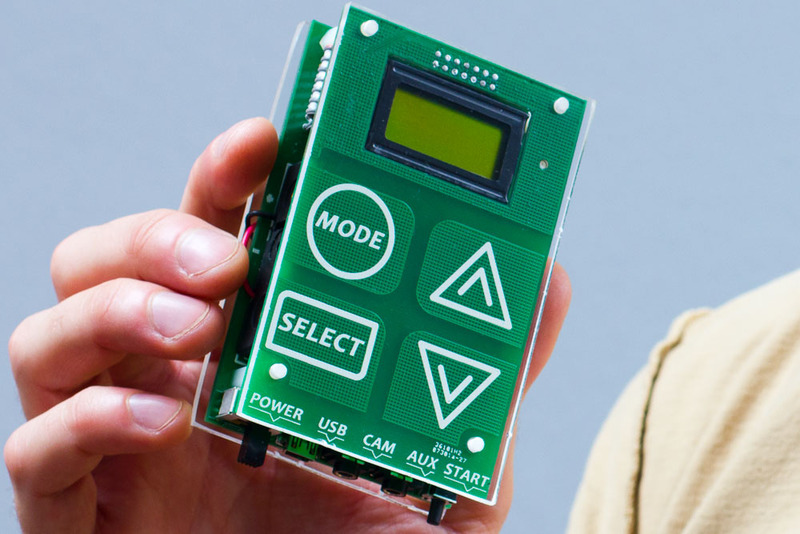 Project: LCDNAV PCB - 8x2 LCD with 5 button navigator keypad. They actually sent 24 boards "“ 2 blocks of 12 each. Boards look great. Built device and it just worked. Am I happy? Yes, I'm happy! BTW AFAIK seeedstudio uses the same PCB maker for the same deal. Was that $24.90 per board? Or $2.49 per board? Were you charged extra for routing the corners and the cutout? That was $24.90 total for 10 boards + $5 shipping. But since they sent 24 boards that's about $1.25 per board. It is a flat rate for up to 10cmx10cm board size. You can get 5cm x 5 cm boards at 10 for $9.90. Yeah, I'm amazed. They didn't charge for the corners and cutout. So you can see why I said 'I'm happy'. I just hope they can sustain this business model. BTW, this was a September special, their normal price is $28.00. I've used them for three sets of boards, and am very happy with their service. They took from 11 days to two weeks to arrive from when the files were sent and most of that time was in the post, they typically took four days to make the boards. Pretty impressive! No tool restrictions like Olimex use to do. I'm impressed! Perhaps I'll use them. Yeah, that's the one. More specifically, this is the link to the PCB service. I had one board printed there and I am also quite satisfied with the results. I tried castelations but they didn't clear the hole well..
Can you tell me how you did those castelations? Did they plate through? What sort of connector do you use with them and where do you source them? Those buttons appear to just be silkscreen on a soldermask on a copper pour, with thermal grid. How can those function as buttons? I think they function as touch (capacitive?) buttons. Those castellations were done by using ordinary round pads with holes, and putting the board outline over them. They are probably intended for surface-mounting the board on another PCB. The technique should work OK with a manufacturer with tighter tolerances. If you trace the switch terminals through to the bottom side you will see that one is grounded and the other goes to a pin that is pulled high by a resistor; standard configuration. As Leon answered, Castellations don't require any type of connector, they make the PCB into a surface mount device, very cheap alternative for module type boards. And I wouldn't attempt them any smaller than 2.54mm pitch, but YMMV. PNP is correct, they are capacitive buttons. I used the Atmel part AT42QT1070 which is a seven button i2c enabled touch sensor. In terms of price, it's comparable to cheap mechanical hardware. The AT42QT10xx devices have a lot of features, automatically adjust to the environment and work extremely well with the default settings. PNP is correct, they are capacitive buttons. 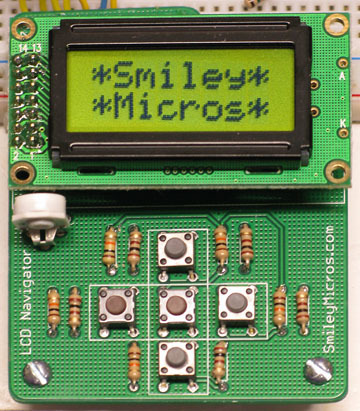 Aahhh, so now we are discussing two board designs; smiley's that is posted and a link about which dksmall has commented without distinguishing which he was referring to .... recipe for misunderstanding IMHO. Your review couldn't come at a better time for me. I just finished (today) laying out a 2" x 1" AVR RS-485 node board. If I just shrink the 2" dimension by 0.8mm (not a problem) I can take advantage of their 5cm pricing. I've been meaning to givem them a try anyway. Thanks for the comments.